This installment is all about how Folksy and Etsy differ when it comes to personalising your shop; making it look like you want it to. It's important to remember that you are selling on someone else's site, so you're never going to be able to completely tailor the appearance of your shop, but both sites - Etsy in particular - do offer a few helpful ways to keep it organised. 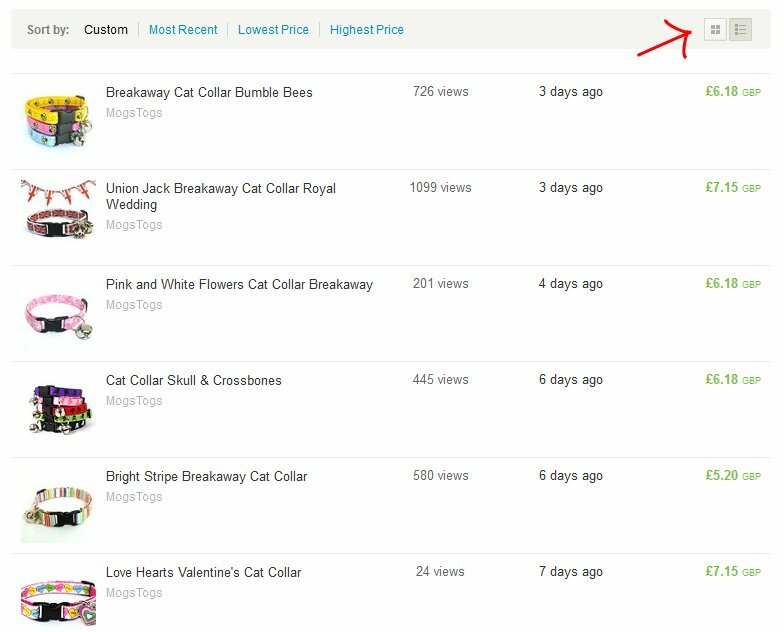 Folksy & Etsy – You can deactivate a listing and it just sits there in your "inactive items", hidden from customer's view. The clock is still running on the listing period, so it may expire while it's inactive. At any time before it expires, you can reactivate it (no cost) and it appears in your shop again. Folksy added the ability to deactivate listings without deleting them completely, in 2012. This is important if you are going to a craft fair and don't want to sell something twice! In both shops you can completely change your listing; so if you want to remove something from your shop and you have a new item to list, you can replace all text photos and title with the information for the new item. If you change the title of the item, the link will change, but in both websites the old link will redirect to the new one, so there's no problem there. Folksy – the items in your shop appear only in order of listing. You can't change them, but if you have the Plus account, by renewing items they go to the front of your shop, so you can rearrange this way, but it seems like far too much hassle to me! Folksy – when you tell Folksy you are on holiday, your listings stay visible in your shop, but they cannot be bought. Etsy – When you put your shop on vacation mode, none of your listings are visible, only a special vacation announcement which you can customise to tell customers when you’ll be back. In my opinion, Folksy just edges Etsy here, just because it lets customers still browse your shop while you're on holiday. For this reason when I go away, I usually like to keep my Etsy shop live, but put Folksy into holiday mode. However, Folksy doesn't provide a specific holiday shop announcement, although you can change your usual shop info to say when you'll be back (who knows if customers will read it though!). Etsy does provide a special vacation announcement, and also an option for sellers to tick a box to receive an email when you come back off vacation (don’t worry, Etsy sends this for you automatically). They also allow you to set an auto-reply to any convos (messages) that might be sent to you while you're away. 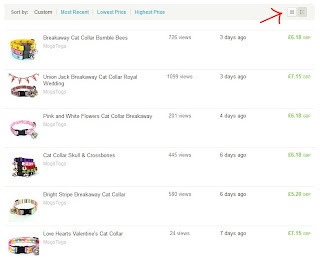 Both Folksy and Etsy allow you to divide your items into categories, to keep your shop organised and make it easier for customers to find what they are looking for. Folksy's banner dimensions are 726 pixels wide and 85 pixels high. They can be .jpg or .gif files. Etsy's are 760 x 100 pixels, they can be .jpg, .png or .gif files. Note that in both shops, your banner appears on your shop's front page, but not in individual item pages. 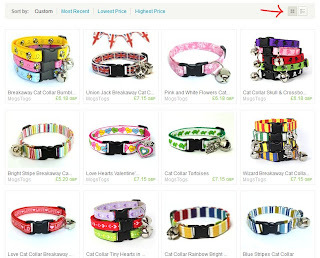 Next up is how your items appear on the two sites, including how search works.